L'Europe suivant les nouvelles observations de Mrs. de l'Academie Royale des Sciences; par N. de Fer. Relief shown pictorially. Includes ill. of coats of arms. 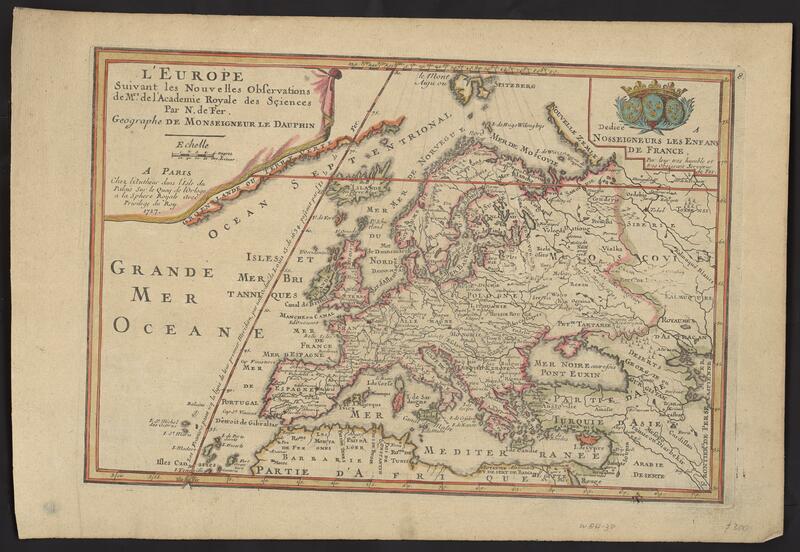 From de Fer's Atlas ou Recüeil de Cartes Geographiques 1 map: hand col.; 22 x 32 cm. This map is in the public domain. Please attribute access and use of this digitized map to the Stephen S. Clark Library, University of Michigan Library.